My Swim Baby has your little one covered with their NEW My Swim Baby UV Shirts! These Shirts are SPF 50+ to protect little one’s skin from the harmful rays of the sun while they’re outdoors and in the water. For comfortable play in the sun these lightweight shits are breathable and dry quickly, even while being worn! 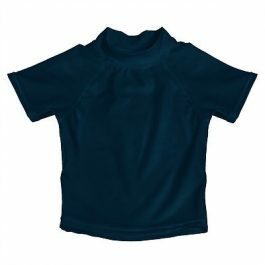 The solid colours of My Swim Baby UV Shirts are easy to coordinate with your child’s swimwear and summer clothing. The hot pink shirt has a cute ruffle at the bottom!